This course is the third of a 3 part foundation in ArcGIS Desktop (version 10.x). The ArcGIS 3 course expands on the subjects covered in the ArcGIS 1 Fundamentals of ArcGIS 10.x for Desktop and ArcGIS 2 – Essentials of ArcGIS 10.x for Desktop courses and introduces some more advanced functions. These include setting geodatabase behaviour rules, data adjustment, desktop and online analysis tools and using Modelbuilder. Temporal (time based) data and basic raster/image analysis are also covered. 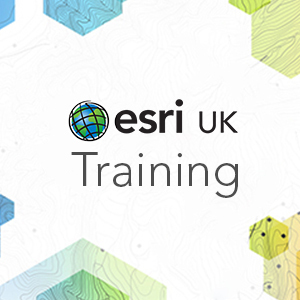 Note: We strongly advise that you have attended both ArcGIS 1 – Fundamentals and ArcGIS 2 – Essentials before attending this course. Confidently manage your GIS data in a geodatabase. Gain a better understanding of analysis techniques and tools. Start exploring models and raster data. We advise that you attend our ArcGIS 1 – Fundamentals of ArcGIS 10.x for Desktop course and our ArcGIS 2 – Essentials of ArcGIS 10.x for Desktop prior to this course or have an equivalent working knowledge.